Google Books has been into news, not for the snippets of information that it has been supplying, but for a very long and protracted litigation, whose end does not seem near. While many of us may be using Google Books, not many will have an idea about the battle that it has been embroiled in for the past decade. 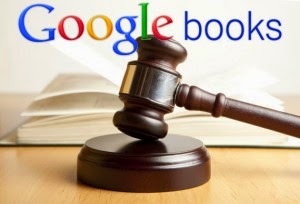 In order to get a clear picture of the legal dispute, it becomes necessary to understand what is Google Books and what it does. Google Books is a decade-old service that has created a digital library of books by scanning them and making some portions available online. It searches the full text of books that Google has scanned and stored in its digital inventory and makes them available to users in snippets. The users are required to pay for accessing the entire book. The service also offers data mining- a procedure by which researchers can study the frequencies of words and phrases, syntactic patterns and thematic markers over a period of time to analyze the various changes that have taken place. The books are supplied by publishers and authors, or by Google's library partners, through the Library Project. The service was hailed by students, academicians and researchers as they could access, at least in part some books that were hitherto unavailable. On the nature of the use, the court said that although Google was deriving profits out of the venture, but at the same time, it was serving educational and research purposes. The court ruled that the use by Google was transformative because it converted text into digital form and used data mining. The service was not replacing the original work, as only snippets were made available. So far as the third requirement, although Google scanned books in their entirety, it made available to the users only a limited portion out of the whole. Regarding the effect on the market value of the original work, it was ruled that Google Books provided publicity to the works and thereby increased the users for the original work. It was finally ruled that the use fell within the ambit of fair use. Judge Denny Chin of the 2nd Circuit U.S.
Appeals Court therefore dismissed the lawsuit filed by Authors Guild.The Guild appealed against the order by stating that Google Books could not be afforded protection under the fair use doctrine because its activities were highly commercial in nature and it was adversely affecting the market for the original works by weakening the digital market for them. The court was not convinced by these arguments and said that most cases of fair use involve some element of a commercial nature. Also, it was of the opinion that digital licensing was not affected adversely and was possible. A detailed decision is still awaited. This decision would have wide ramifications for the Indian intellectual property landscape. This is because although India has more stringent conditions that must be met for a use to be considered as fair, it is feared that this decision will set a global standard for fair use. Indian authors and publishers are likely to win against Google in Indian courts, it remains to be seen what will be the long-term implications of the case. 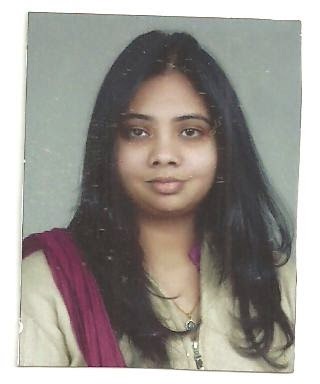 Kudrat Agrawal, is a second year student at National Law University, Delhi. Presently in the fourth semester of law school, she is interested in Business Laws and want to pursue a career in Mergers and Acquisitions. She is an avid writer and is working as an Editor with Lawctopus-Acdemike and is a Sub-Editor with fuccha.in. She is currently experimenting with writing research papers and pursuing online courses. In her free time, she likes listening to music and reading.